The perfect road trip: 2 strangers, 1 truck, and 1500 miles to fall in love. Detective Justin Hatcher and Cameron McAlister are in a hurry to leave North Carolina-for totally different reasons. He wants to confront his family about a five-year-old betrayal. She wants to escape the remnants of a failed marriage. Thrown together as unlikely and unexpected travel partners, their trip is filled with both dramatic and humorous situations along the road. But, with God's constant hand in their journey, can Justin and Cameron discover that... 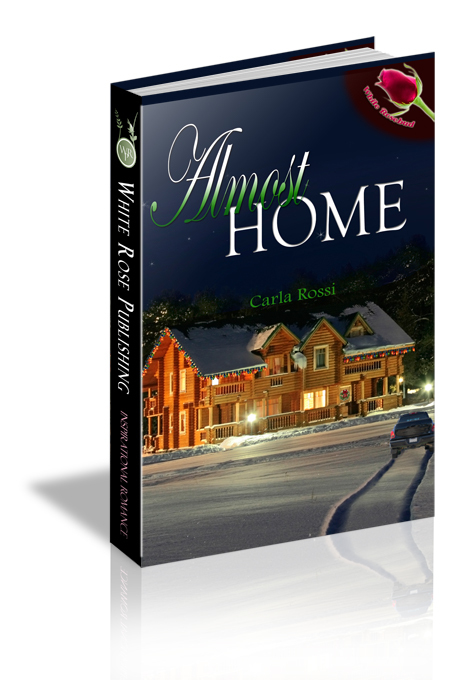 Yes, you can go home again...especially at Christmastime. She looked at him as though he’d just sprouted spaghetti for hair. She pushed a shaky hand out the end of her sweatshirt sleeve and started fishing in the pocket of her jeans. Wadded tissues popped out and tumbled to the ground. A tearful squeak escaped her lips as she hurried to pick them up. He had no business taking on a passenger. Not even a cute redhead. Not even an intelligent woman who clearly had great conversation potential. Not even until the next major city. “Get in,” he grumbled and reached for her bag. She jumped in the cab and secured his thermos between her feet on the floor while he checked the side mirrors and started the engine. He put the truck in reverse and placed his arm across the back of the seat. She pulled her hat off and shook her hair loose, and then brushed away the last tear. She turned to him and smiled. Really smiled. Smiled in such a way that it rivaled the first sun of the morning now creeping into the eastern sky. With one click of the seatbelt, Detective Justin Hatcher knew he was in for the most complicated ride of his life—and he didn’t even know her name.